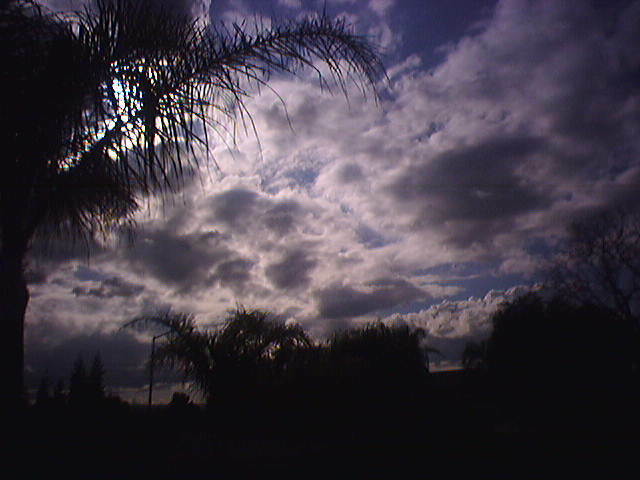 MC Hammer Blog: Deep Clouds: What Do U Think The Clouds Are Saying? 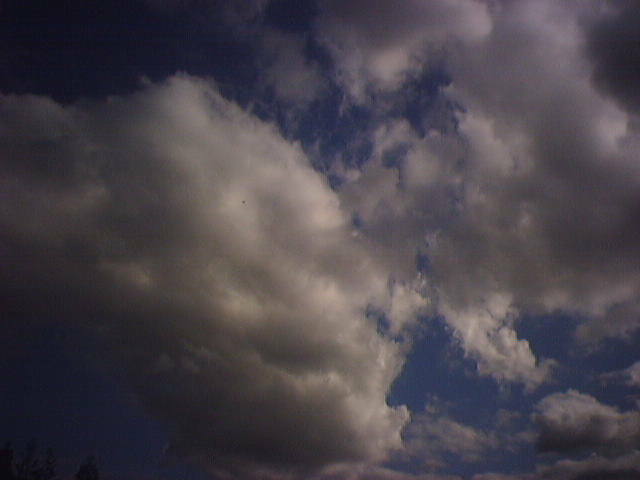 Deep Clouds: What Do U Think The Clouds Are Saying? The clouds are saying that Mother Nature is cranky. This weather is too crazy for me. My little one and I are allergy sufferers and this goofy weather is kicking us in the backside. In the first picture, I see a giant butterfly!! The left and right are wings. The center is long, like a butterfly body!! I see a glorious sunrises, or sunsets. and with his children below him, camera in hand, giggles on the lips!! Hi Chris! I see we both got the "eye." I didn't look at responses first, so this is so cooL! I don't know about your area, but in Illinois we really need the rain. In the first picture I see the face of a cat. There are two areas of blue (the eyes), a blue are in the form of a "T" (the nose) and you can make out a mouth below the nose. That there is more to life than what happens today. have the faith to believe in it. I live in the part of Illinois/Missouri that was just hit with all of the tornados. This actually feels healing to me. While I wasn’t involved in the damage … my heart goes out to those who were. I feel like I should share these pictures and words with them. The fact that they're MOVING, says alot. It's like one of those revelations God sends you, in regards to your situation. Clouds pass, and your problems will too. On another note, I miss being a kid, when we just laid in the grass and tried to identify forms. Even now, I find myself "cloudracing" while I'm out jogging. I just love how God puts a lesson in er'rthang! I'm not sure if I completely agree with your ideas on the divine inspiration of the cloud formations, but I can definitely appreciate your point of view. My favorite of the photos is the third. Keep it up, man. I think the clouds are saying "today is going to be a good day". I think they're saying, "Hammer doesn't really have anything he wants to write today...maybe he should just post some pics"
Okay, you're gonna think I'm a couple of sammiches short of a picnic.... the 4th pic looks like an open-mouthed sock puppet with a wig on top. And last, in the fourth picture I see a little bit of darkness but then there is a little tinge of light, which brings me to think of the phrase "you must go through the darkness to make it to the light" or in quoting Aretha Franklin "In order to get something, you gotta go through something..."
That is what I see Hammer. I don't know what it is I see... maybe the contents of your burdgeoning comeback via the Blogger limelight? Whatever it says they're relaxing! they're saying I need to be where you and the palm trees are.. the D is just too damn cold! WAR! Ominous warnings! Great psychological tool. Think they mean it's going to rain. One Christmas morning driving from El Segundo to Long Beach, saw a rainbow even tho' there wasn't a cloud in the sky, well maybe a few small puffy ones. No way there could be a rainbow. It hoovered 'round the area where my daughter lived. The song playing on the radio was Stevie Wonder's "Someday At Christmas" and I thought the rainbow was a sign from God, that, yes, someday, "no hungry children..."
The right: I'll open you up. I don't know, dude.....looks like ordinary clouds to me. Sorry, I'm practical by nature. 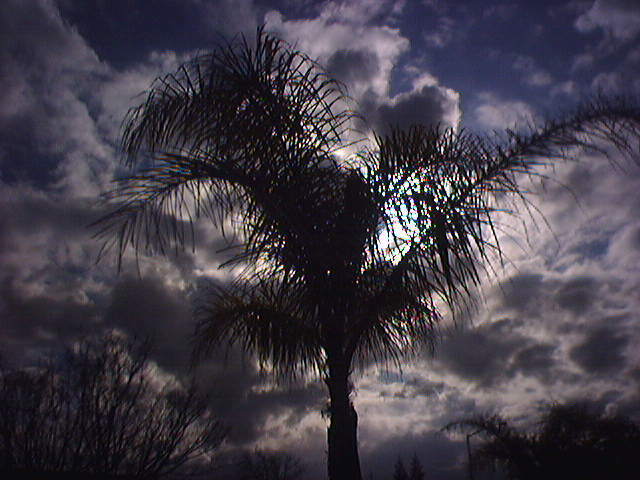 Personally, I think that clouds are God's way of saying, "Get inside, you moron, it's about to rain!" But that's just me. Nice pictures, by the way. I think the clouds are saying: "Watch out world because it's Hammer Time": Whooo-oh, Whoooo-oh, pick up the Hammer, Whoooo-oh, Whooooooo-oh, pick up the Hammer!!" By the way, I like the new video I saw Hammer. I am glad that you are back on the track and doing your thing! And of course, that old classic album with "Can't TOuch This", "Have you seen her", "Pray" etc. really influenced the hip-hop scene back in the day! Also, we can not forget: "Too Legit to Quit, HEY HEY!!" They are saying watch out: storm season is back. It looks like you have a seriously little hobby here Stanley. You might think of going to school and maybe explorer how far you could take it. Good luck!! It's hard to interpret the clouds without a nice, warm patch of grass to lie on.... Seems more natural to watch clouds that way... but the pics are cool. Hi MC Hammer, one time I was roller skating at a skate rink and they played that song you made, and I was so excited that I started skating really fast and passed everyone on the skating rink! Then I started going too fast to stop because the rubber stopper thing on my skate had been worn down too much and I crashed into a wall and chipped my front tooth! What do you think about that? you should check out polkadot earth... asstwirl.blogspot.com. 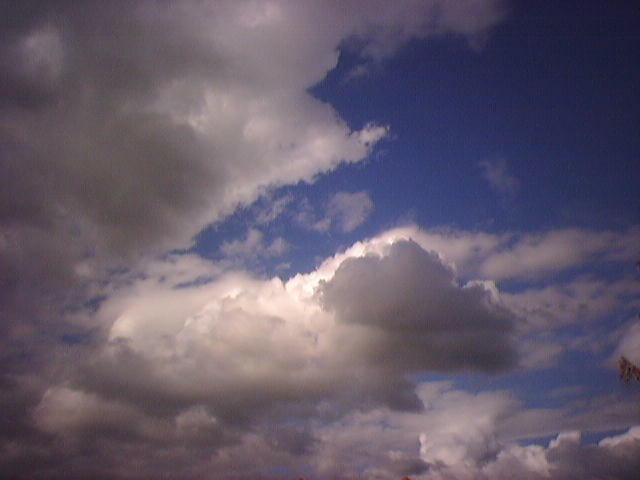 she is in love with clouds, and has some of the coolest pics. theres one with a flower that is really neat. something about the glory of God, right? I've been stopping in to read your blog every now and then for a few weeks now, but today I realized what a great photographer you are. Thanks for the pics! I know you're not a meterologist, but why are the bottoms of clouds usually flat, and not symmetrical to the top? I am "guessing" that this is the way it is; because of the ozone layer. It must create a shelf-bottom? clouds rest on that, I think? "life is beautiful, precious, and should never be taken for granted. no matter how bad things are down there, the sun will shine again." It was rather interesting for me to read the post. Thank author for it. I like such themes and anything connected to this matter. I definitely want to read more soon. Pretty nice place you've got here. Thanks the author for it. I like such topics and anything that is connected to this matter. I would like to read a bit more on that blog soon.